* Show your gratitude with a free offer that complements the original purchase. For example, a hair stylist could show thanks by offering a voucher for a free hair styling product. Include specifics, such as a $15 maximum value redeemable within 60 days of postmark. * Boost sales by providing a coupon for free shipping or 25% off their next order. Encourage customers to pass it on if they don’t need to use the offer themselves. * Suggest complementary products or services that will enhance the initial purchase and increase the customer’s satisfaction and loyalty. Consider creating an affiliate program with non-competing businesses to expand your offerings. * Reward customers for providing referrals. Offer an exclusive discount to both your existing customer and a new referral to increase the number of referrals you receive. * Highlight your contact information on an item your customers will keep, such as a business card, calendar, customized notepad, magnet, or pen. * Become a resource to your customers by encouraging customers to sign up for an informational newsletter with industry tips and tricks. You might also consider providing valuable tutorials and training classes. * Consider using the 10-10-10 follow-up pattern (or even a less-aggressive 30-30-30). Send an initial thank you within 10 days after the purchase. Contact them again after 10 days, then a third time after another 10 days. Vary your method of communication, such as a hand-written note, email, and phone call. Include an offer in all communications, and build on the urgency in each contact. * Ask for feedback about the customer’s recent purchase or send a survey with an incentive to respond. Many customers will be eager to discuss their experience or may even have questions. If you need creative print ideas to stay in touch your customers, give us a call today. Our creative team is full of ideas to ensure your customers come back for more, and bring new customers with them! Are you a salesperson or a consultant? It really doesn’t matter what your title is or even what industry you serve. At one level, everybody’s in the position of selling something to somebody. But here’s the dilemma: If you ask, most people will readily admit they don’t like being sold. Many businesses have “No Soliciting” signs on their doors. Many will slam the phone down the moment they realize you’re trying to sell them. Even if you’re selling in person, the moment the topic turns to sales, the excuses of why they can’t buy what you’re selling begin to fly. So how do you get around this dilemma? Stop thinking about just selling and instead think about what kind of value you can provide. Think of yourself as a consultant. A salesperson sells products and services. A good consultant first figures out what their prospects really need to make their lives better and then creates a solution to make that pain go away. To offer real and unique value, you must first gather and collect data about your prospect. Yes, this takes work, but it is precisely this kind of work that results in bringing real value and building a long-term, mutually profitable business relationship. Transforming yourself from a salesperson to a consultant begins with a change in your mindset. All of the prospects and customers you could ever want are right under your nose waiting for your solutions. But remember: they don’t want to be sold. They want you to show them your expertise first. They want you to prove you have their best interest at heart. Most importantly, they want to know that your solution will make their pain go away. That’s what a good consultant does. * Use abbreviated or partial lists on marketing pieces, such as postcards and email campaigns, and encourage readers to visit your website to learn more. 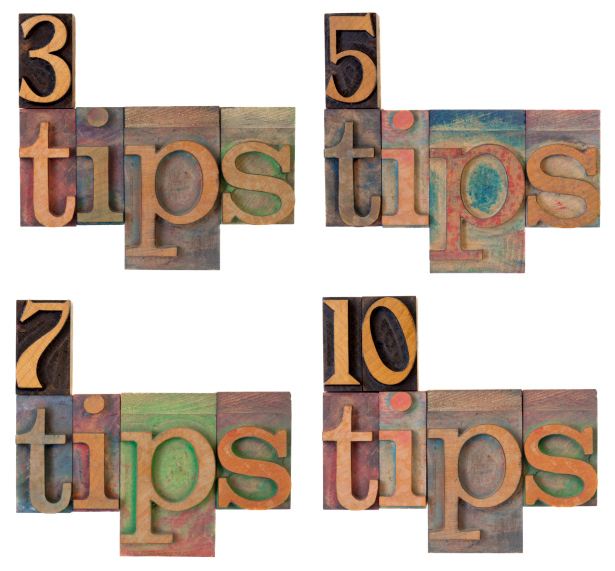 * Promote your company’s competitive advantages with a “top 10 reasons” list. * Popularity sells. Use a list to advertise your biggest selling products, such as “Our Top 5 Most Popular Products from 2012.” * Use a list to announce or introduce new products or services. * Use a list as an alternative to long paragraphs of text, and enable readers to quickly scan your key points. * Structure your list logically (largest to smallest, most to least popular, or simply your strongest tips first). * If your list includes more than just a few words for each key point, consider using bold sub-headers with brief descriptions behind them. * For “top 10” style lists, always number your entries, so readers can easily follow along. * Be sure to include a source whenever appropriate, especially if your list contains hard facts or data.